Once again, they’re telling the stories of heroic women unaccountably forgotten by history with ‘Womans’ (like Romans but with a wuh)... It’s 44BC, Ancient Rome. Our hero, Leta has been declared a traitor by the Roman Senate. She is given a punishment worse than death: “Damnatio Memoriae” – to be erased from history. Whilst noble gladiators and infamous emperors around her are becoming legends, her name will be scratched out and forgotten forever. But with the help from some unexpected muses, she decides to rebel against the Republic. Join Leta’s determined journey to reclaim her place in the history books, from crashing the Colosseum to bargaining with Brutus. She will go to the ends of the empire to make her mark. 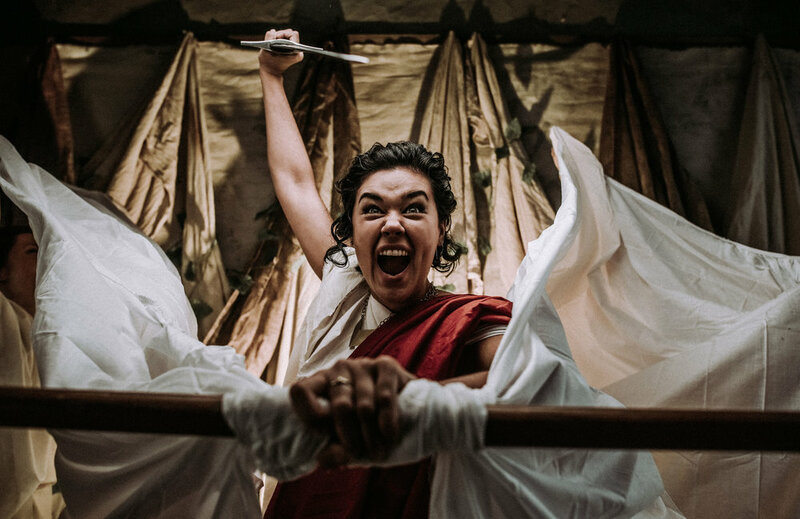 A feast for the eyes and the ears with physical comedy, clowning and original music, Womans will be a raucous and hilarious tale of the first female resistance. £7.50 adult, £5 under 16, £22.50 family of 4 - from Atherington Shoppe or tel 01769 560537 or 560248.